The system will cost, by subscription, AU$55 a year or AU$25 a quarter (casual users will pay AU$10 a day), with the first 30 minutes of use free with a steep escalating charge for additional time. Bike docking stations, placed approximately 300 meters apart, will operate 5am to 10pm every day of the year. 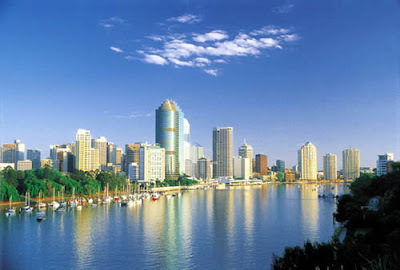 To gear up for Aussie’s premiere bike-Share system there will be AU$10,000,000 of additional infrastructure improvements for new shared cycleways that will cement Brisbane’s reputation as Australia’s most bicycle-friendly city, said the Mayor. In Time for St. Patrick’s Day? The Irish Sunday Times is reporting that Dublin will open its bike-sharing program in March. The system will be a JCDecaux Cyclocity program with 450 bikes and 50 stations in central Dublin. There has been controversy with this advertising-financed program. 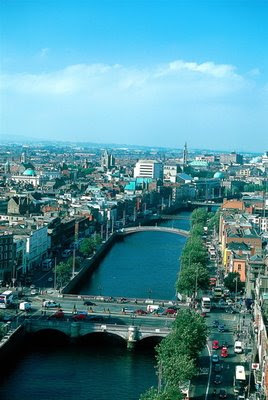 Many of the advertising panels' 120 locations were met with opposition by citizens throughout greater Dublin. However, enough of the panels have been approved by the Dublin City Council to let the bike-sharing begin. So with the “Luck of the Irish”, bike-sharing will be a hit on the emerald isle. Arlington County, Virginia has released a Request for Proposals for the operation of the Arlington Bike-sharing Program (RFP #56-09). The tender proposes a unique relationship between a local government and bike-sharing operator. The vendor will be responsible for operating the service, which includes administration, maintaining and distributing bikes, and collecting data. Arlington’s responsibilities will be for marketing the service, finding advertisements for the bikes, and providing some customer care. A pre-bid conference for interested vendors will be held on March 5 and the RFP will close on April 2. The tender has the vendor purchasing “an off-the-shelf system, if not having a system of its own devise, and operating it for the public’s benefit.” Even just one year ago there weren’t many options for off-the-shelf systems, but now a handful are on the market, including Public Bike System, nextbike, Intrago, Smoove, and B-cycle. Arlington will keep revenues generated from the service, which include the membership and usage fees as well as advertisement revenues. The tender also offers incentives for meeting strict performance standards and fines for not doing so. Arlington County does not allow on-street advertising with bus shelters, kiosks, billboards, and the like, so it is unable to have a bike-sharing service offered as part of an advertising contract as many cities have done. It is hoping to compensate for this by having advertisements on the bikes, as this form of advertising is legal in the public domain in Arlington, to assist with the financial sustainability of the program. MetroBike, LLC assisted Arlington County develop its tender. 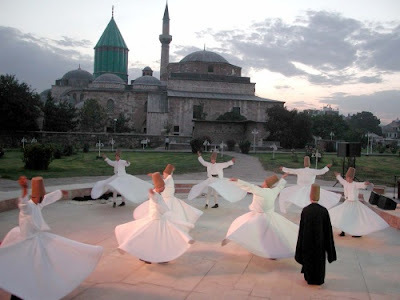 As bike-sharing spins around the world like Whirling Dervishes it has landed in the home city of the Sufi dancers. Mayor Tahir Akyürek of Konya, Turkey where the Mevlavi movement famous for the dancers began, unveiled his city’s plan to be the first with a bike-share system in Turkey. In the first phase, the city with a population of 1.4 million will start with 40 stations with 500 bikes along the tram and main bus lines to reduce the need to drive automobiles to public transportation stations. Mayor Akyürek in an Anatolia News Agency article noted that bicycles were more widely used in Konya than any other Turkish province and so it followed naturally for bicycles to be introduced into the public transportation grid there. A tender for the "smart bicycle" project has already been completed, and the project will go into operation in one year. 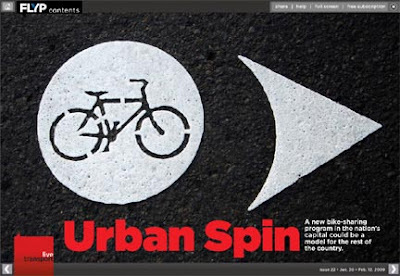 FLYP has a fun interactive report about SmartBike D.C. and bike-sharing in its piece called Urban Spin. Posted by Paul DeMaio at 5:22 PM No comments: Labels: FLYP, SmartBike D.C., Washington D.C. 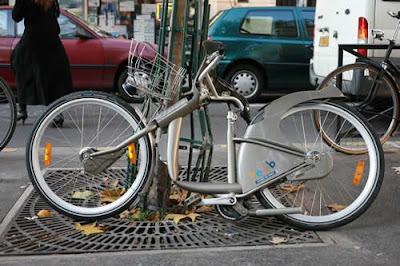 In a year and a half of operation, 7,800 bicycles have disappeared from Paris’ highly successful bike-sharing program as reported by LeParisien. On top of that, another 11,600 have been vandalized. To cope with this grave problem, 500 mechanics work on 1,500 bicycles each day to keep the system running. Even in cold weather, there are 78,000 average daily usages on the system. At the end of January 2009, a city wide transportation strike resulted in the doubling of Vélib' usage from the week before. JCDecaux, the advertising company that operates Vélib' for the City of Paris, is considering closing the stations which are the most vandalized. The price tag for all this mischievousness has been very high for the company. According to the BBC, "Since the scheme's launch, nearly all the original bicycles have been replaced at a cost of 400 euros ($519, £351) each." Not only do the mechanics travel from station to station every day to pick up or fix damaged bikes, but also go from Police station to Police station to pick up Vélib' cycles in either good or damaged condition which have been found by the police overnight. Even with these maintenance nightmares, the system is expanding with six new suburbs of Paris connecting to the system next month. With over 42 million uses and bikes traveling 10,000 km in a year, Vélib' is a marvel for everyone to watch and learn. 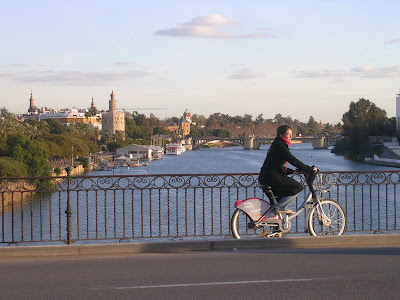 Seville will host Spain's first national bicycle summit from March 12 - 15, which includes the 2nd Spanish Public Bicycles Congress, the inaugural assembly of the Spanish Network of Cities for Cycling, and the business meeting of cycling companies. After introducing various bike-sharing schemes during the first Public Bicycles Congress, held 2007 in Barcelona, the second congress takes stock of the Spanish experience with its various schemes. Selected cities will reflect successes and failures with the schemes, while experts and public bike users will share their first-hand experiences in separate panels. Furthermore there will be space to present innovative technologies of third generation public bicycles attempting to solve well-known problems of vandalism, reliability, and availability. The summit is organized by Seville’s Delegation of Infrastructures for Sustainability in cooperation with the Foundation ECA Bureau Veritas. 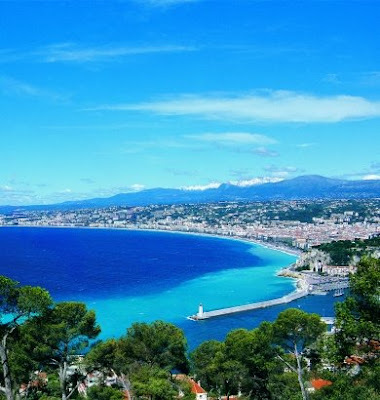 Just in time for this summer’s rush of tourists to the Promenade des Anglais, Nice, France, on the Côte d’Azur, will have 900 bikes ready in July with a new bike-sharing program from Veloway, tentatively called Vélos Blues, reports Le Journal Développement Durable. By April 2010, a complete system of 1,750 bicycles with 175 stations will be in place with many stations no more than 300m away from each other. To keep beachgoers happy, nearly 100km of new bicycle trails will be constructed to help reduce the crush of automobiles in the annual pilgrimage to the Mediterranean Sea. Christian Estrosi, the Deputy Mayor of Nice, announced the new service on the last day of January, so Europeans will know they will not have to miss bike-sharing while on vacation this summer! Update: Velo Bleu begins operating July 17, 2009. Sign-up after June 22 at velobleu.org.